vol.12　see all recipes I’ve put together a series of tasty recipes for healthy Japanese dishes that are simple to make, wherever in the world you might be. I hope you’ll enjoy mastering Japanese home cooking while learning how to use ingredients that are good for health and beauty. 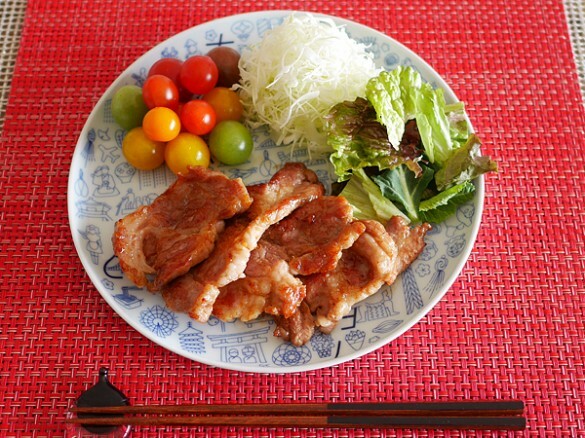 One of the most popular items on the menu at restaurants offering set meals is shogayaki (ginger pork). It’s not only delicious, with a sweet and sour sauce that tantalizes the taste buds; it’s healthy, too, as ginger speeds up the metabolism and pork promotes recovery from fatigue. Actually, if you cook this dish without due care, the meat tends to be rather tough. There are three key points to remember if you want to be sure that the meat will remain exquisitely tender, even once it has been chilled. 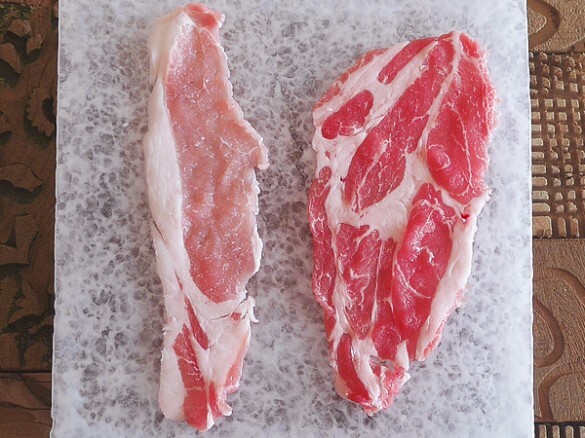 (1) Use pork shoulder, not loin The loin (left) cuts sold as being specifically for making shogayaki are finely textured, so they lose their moisture easily, leaving them rather tough. Accordingly, I recommend using pork shoulder (right). The flesh contains just the right amount of fat, which makes it easier to cook and provides an umami-rich flavor. (2) Cut the connective tissue The connective tissue between the flesh and the fat forms a tough barrier when cooked, preventing the meat from relaxing. 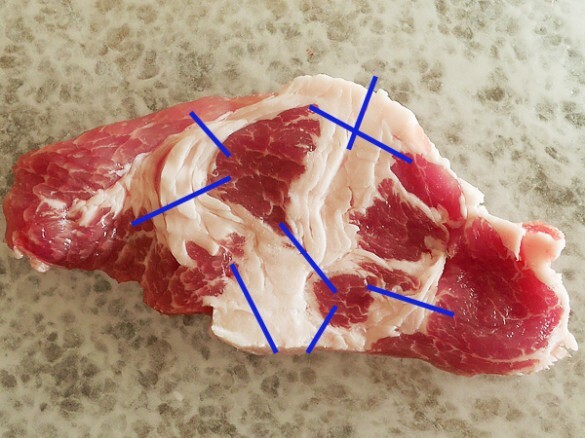 You can ensure that the meat looks and tastes great if you cut into the connective tissue in a few places before cooking. 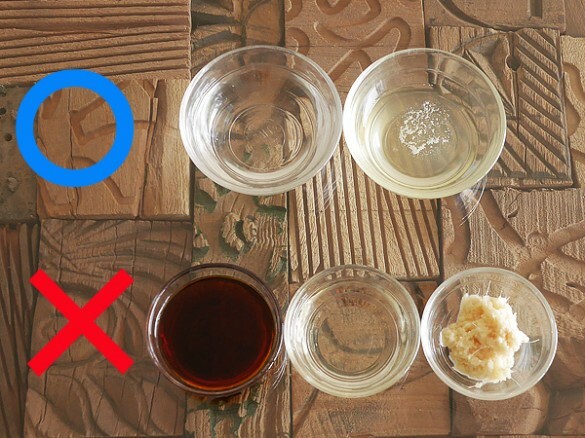 (3) Don’t use any seasonings containing salt or sugar in the marinade The osmotic pressure of the sodium in seasonings such as salt and soy sauce pushes the moisture out of the meat. Sugars cause it to burn more easily, so you mustn’t add either of these at the start. 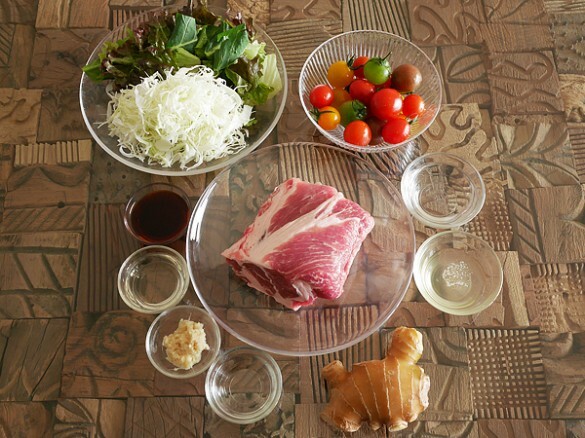 Use only saké and ginger juice for the marinade, to help tenderize the meat. 1. 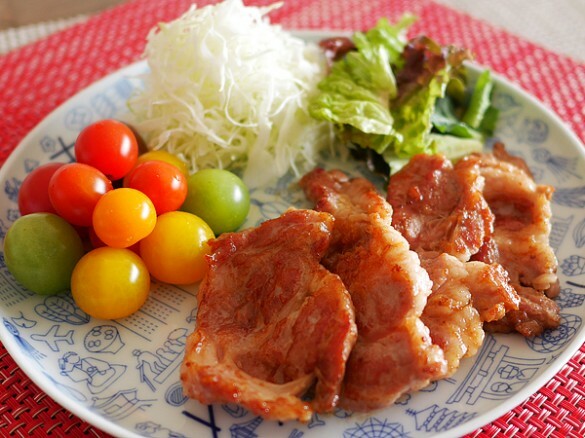 Cut the piece of pork into slices 5-7mm thick, cut into the connective tissue, and then lay the slices on a baking tray or similar before adding saké and ginger juice at room temperature. Marinade for around 30 minutes in summer and around an hour in winter. If you need to keep it in the refrigerator, marinade for between 2 hours and half a day. 2. 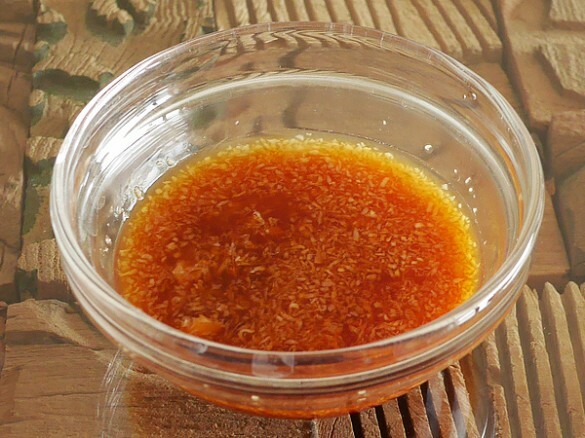 Combine soy sauce, mirin, and grated ginger to make the sauce. 3. 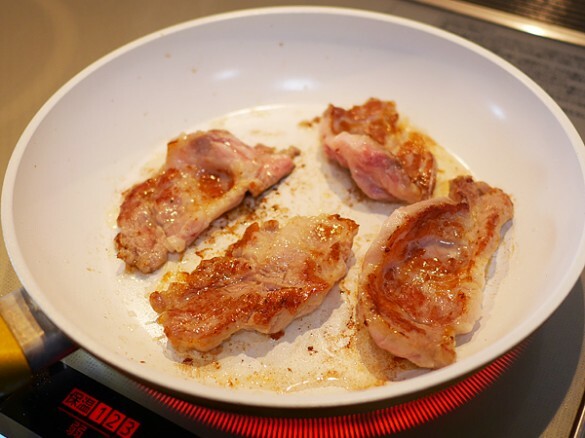 Heat a frying pan, coat it with oil, and then cook the meat. Fry gently, like cooking pancakes, rather than going for a full sizzle. Start off at a moderate heat. 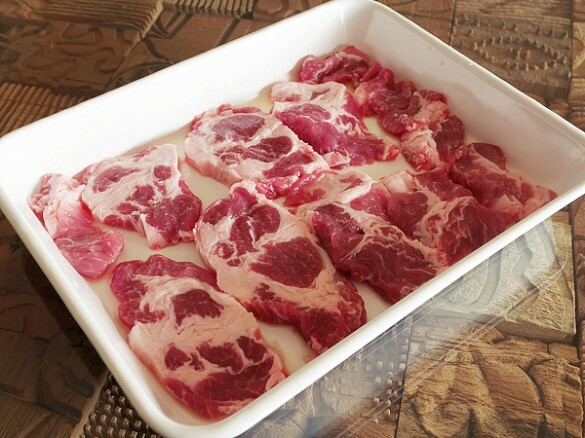 Once moisture forms on the surface of the meat, turn it over and cook the other side thoroughly on a low heat. Finally, pour the sauce around the outer edge of the pan and cook for 1-2 minutes, coating the meat thoroughly. 4. Pile a generous quantity of raw vegetables on a plate and lay the freshly cooked pork beside them to serve. By SUGI AKATSUKI see all recipes Profile:SUGI AKATSUKI Graduate of the University of Tokyo. Researches culinary culture and foods that promote longevity and beauty. Studied basic medical science and life science at university. After studying organic food and Kushi macrobiotics, she began to conduct culinary research independently. Her motto is “simple ways to stay beautiful.” Her specialty is healthy dishes ideal for the busy woman of today. She also teaches yoga and has a popular blog（http://saqai.com/）.